Happy Monday! You’ll notice that the redecorating of my site is coming along nicely. There are still a few things I’m working on, but that’s not why I’m here today. 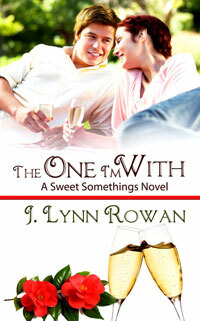 Since I finally have my ducks in a row, I’m pleased to share the official cover and blurb for my upcoming release, the first book in my Sweet Somethings Series! Carmella Sannarelli is a people pleaser. She can’t say no to anyone, even when it means putting off her own personal goals in the process. So, when her best friend, Sadie Miller, calls with the announcement that she’s broken up with one fiancé and eloping with another in St. Croix, Carmella can’t stop herself from dropping everything and accepting the invitation to stand as maid of honor. Jilted fiancé Ryan Wutkowski has been the third member of the Carmella-Sadie trio for nine years. He fully supports Sadie’s new engagement and upcoming nuptials, knowing it’s the right decision and best for both of them. But when he boards a plane to San Juan for a business conference, Carmella is the last person he expects to find occupying the seat next to his. So… remember how I’d submitted the Chick Lit Romance to a couple small presses back in December? And how I got requests for fulls? …subsequent titles in a series! No release date yet, but you can bet your buttons I’ll keep you all updated. On Saturday, Rhonda Penders, editor-in-chief at The Wild Rose Press, gave a presentation at this month’s CNYRW meeting that, among other things, provided some perspective on what’s happening in the publishing industry. Her presentation, from which I garnered tons of information and ideas, spawned a discussion among the CNYRW members about what constitutes success as a writer. I think we can all be in agreement that the publishing industry has undergone huge changes over the past few years, for better and for worse. There are options available today – viable ones, even – that just didn’t exist five to ten years ago. Between the incredible uptick in indie publishing, the turn toward small presses that often seem way more author friendly, and the traditional agent-to-Big-6-publisher route, it can be a little mind-boggling to even decide what avenue to pursue, let alone determine what will define your success as an author. Therein lies the key, I think, to determining the path an author needs to take. What is success? Is it landing a 6-figure publishing deal with Random House? Is it making enough in sales each year to let you quit your day job? Are you just looking to make some extra money doing what you love? Is it some combination of the two? We can’t all be Dan Brown or Nora Roberts or J.K. Rowling. The law of odds, and the way traditional publishing seems to work, does seem to make it difficult to break out into New York Times Bestselling Author-tude. But maybe securing a publishing contract with a smaller press is what will equal success in your life. Or maybe perfecting your self-publishing process through professional editing and cover art services and a solid marketing plan, thus gaining a small but solid following, is enough for you. You have to define what your goals are before you can determine the steps that will bring you success. You do have to do your homework, whether it means researching agents and how to properly query them, putting your manuscript in front of an editor who can help you fine tune (and fix up, if necessary) your work, or identifying how to run what amounts to your business if you decide indie publishing is the way to go. For me, what is success as an author? I admit it – I would love to land a contract with a major publishing house. That’s always been the brass ring. But given all the options and combinations of possible avenues for publication, it’s also very tempting to pursue a path that would give me quite a bit more control over my writing career. From what I’ve read and been told, authors today are responsible with the vast majority of their marketing and managing their careers, so whether I go indie, work with a small press, or get that Big 6 contract, I’ll have to have a plan. I don’t see myself leaving teaching anytime soon. But if the world was perfect and the right pieces fell into place, it would be pretty cool to be able to write full time at some point. So for now, my goal is to pursue a publishing career that lets me earn a little extra money doing something I love. Ultimately, though it’s easy to get caught up in the quagmire of submissions, marketing, building your platform, and so on, you do have to write. Write what you love. Write what you want to read. Edit. Read good books. Write more. Stay passionate and ignore the naysayers who point out all the things that are “hard” about being a writer (as if there was every really a time when being a writer was easy). Define success, and then work for it. You may recall that I completed my rewrite a few weeks ago. After letting my manuscript “rest” for a week or so, I sat down and read the whole thing out loud beginning to end, marking and commenting for future revision as I went. I was pleased to discover how happy I was, overall, with the first draft. I only had a few spots that needed real revision, and I did a “soft” edit of those spots once I finished reading through the whole thing. Then I started doing a bit of research on literary agents, and guess what I discovered? The going word count for first-time novelists is 80-100k words. My manuscript clocks in at approximately 240k. I could theoretically break it into two books with minimal revision, but the publication of a sequel is dependent on the success of the first book. Nothing is guaranteed. There is always the indie book route, wherein one self-publishes with a service like CreateSpace. (I am seriously considering their copy editing service.) But I’m a traditionalist at this point, mostly because, unfortunately, there’s a lot of self-published drivel out there. I, by no means, think I’m the next Margaret Mitchell. But neither do I believe my book is drivel. I’ve read some bad self-published stuff on my Kindle Fire recently (because it was free to download, mind you, and was in a genre I generally like). I don’t want to get lumped in and lost among the literary dregs. So I’m panicking a little because, while I know I still need to do some more editing, I don’t see how I can cut out one hundred forty thousand words without ending up with a story that’s choppy, incoherent, and so bare bones anyone with half a literary brain would shudder over it.